Today she has this absolutely fabulous bath and body set up for grabs! Wonderful, hand mixed items to melt away a long day of tension. I can't deny it, I'm hopeful to get it! She's also got a book and bookmark that are lovely. Stop by and check them out! In other news, I've been working on preparing for Youmacon in Detroit over Samhain/Halloween weekend. Lots of adorable Bloops just waiting to get home and some new items as well. I have to say, I've been feeling sort of down in regard to my art. I feel like I haven't come up with anything really new/original/appealing in a while. It's sort of like I'm drifting along a river while there is a party going on on the shore. I look around and see all these amazing things and wonder "Why didn't I think of that?" I'm one of those people that want to do everything, so I spread myself super thin, then I feel like I'm not really growing in any one field. What do you do to get our of your slump/spark the muse? I'm afraid that my first full year of business was a fluke and I won't really be successful in this. Not anything too super fantastic, just playing around with this Minky Fabric I have. The ears weren't sewn in far enough, but it's a start. 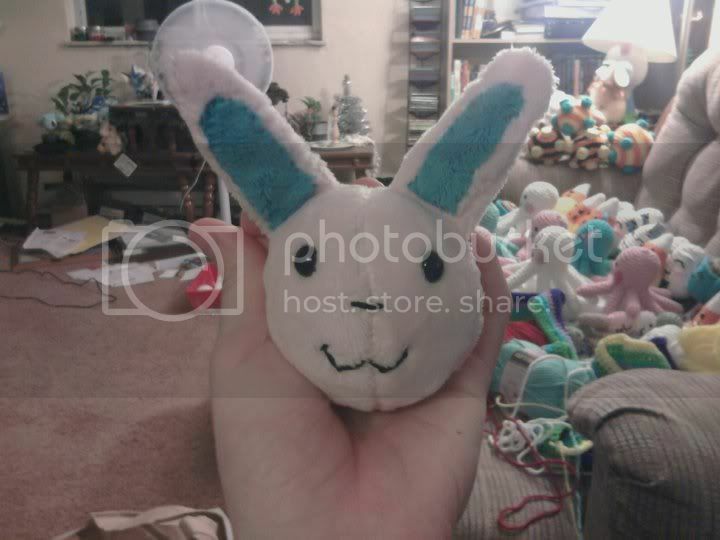 Maybe I'll get into making sewn plush once I get the craft room finished. And this was a very rambly post. I hope this finds you all well! P.S. During August I went to Japan for 18 days. I may post some of my photos here for the heck of it. I apologize now for the potential pic spam!